Tessa is the Editor-in-Chief over PURSUE Magazine. PURSUE is an online magazine that encourages and inspires girls to pursue their youth by discovering their calling, embracing their uniqueness, and learning how to sustain health in body, mind, and spirit. 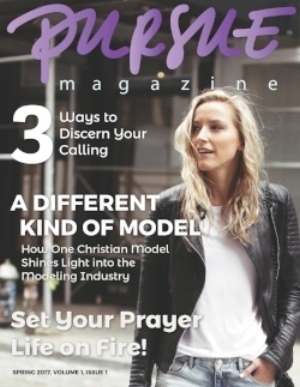 It is a general interest and Christian-based magazine that covers topics in life, encouragement & motivation, inspiration, arts & creativity, and beauty & fashion. For more information, visit its website at www.PursueMagazine.net.